If you’re considering buying life insurance online, then there’s never been a better time to do it. You’re able to compare a wide range of prices and features at the touch of a button, with no need to call multiple providers or to listen to extensive sales pitches. Purchasing life insurance online allows you to very quickly see what each provider has to offer, and what they expect in return. 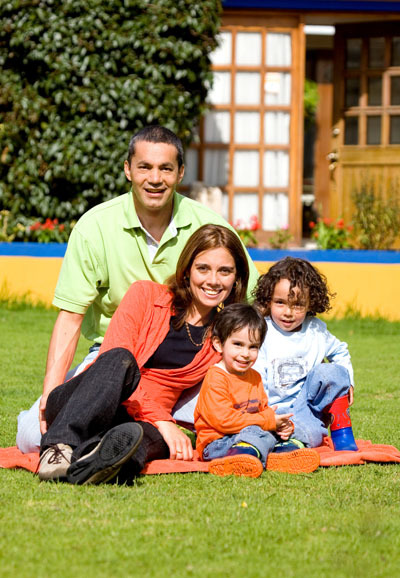 Life insurance quotes are usually much cheaper than people expect. The prices are usually nowhere near as high as car insurance, even though the payouts are often much larger. Many people choose to take out life insurance on a long term basis, which keeps them covered for between 30 and 50 years. You pay a regular premium in return for the promise of a cash lump sum upon death, with insurance companies making their money back on all policies belonging to those that fortunately outlive the term they’ve agreed. If you take out a 40 year term, you don’t receive a payment if you’re still alive at the end of it. The younger you are, the lower your premium will be. As you age, you become a bigger risk to life insurance companies. You’ll have to pay more, for the same level of cover. If you take out a life insurance policy when you’re still considered a ‘young adult’, you can pay a small amount monthly until you reach retirement age. You’ll easily be able to absorb the costs, often less than £10 a month, so that paying for life insurance doesn’t have to squeeze your budget. Life insurance online quotes make it easier than ever to see exactly how much you’ll be paying, which will help you to make your decision. As you compare life insurance online, be sure to consider the features you require. Some policies cover you for terminal illness, and will pay out if you’re given a certain amount of time to live. You might find that this is a practical addition, enabling you to enjoy your remaining time in comfort if the worst does happen. Whilst some quotes are for a set premium and a set payout, you can also choose index-linked life insurance that rises with inflation. Your premiums will probably increase over time, but so will the payout that’s agreed by your insurance provider. If you take out a £100,000 insurance policy that’s not indexed-linked, then your loved ones will receive £100,000 no matter how much it’s worth in real terms. If you want them to receive a payout that’s worth the equivalent of £100,000 in today’s money, then opt for index-linked life insurance policies. Best Price Financial Services offer a commission-free way to buy life insurance online, having compared quotes from all major providers. It’s the quickest and easiest way to find affordable life insurance no matter what your age or circumstance, and you’re free to look into life insurance policies and their specific offering before you commit to paying a regular premium.